Going to Social Security System offices to update info, check loan and monthly premium balances and getting a copy of SSS Static Info and Employment History had been way pensioners and members can do all these in the comforts of their homes without having to fall in line and wait for their turns with the use of SSS online services 24/7. 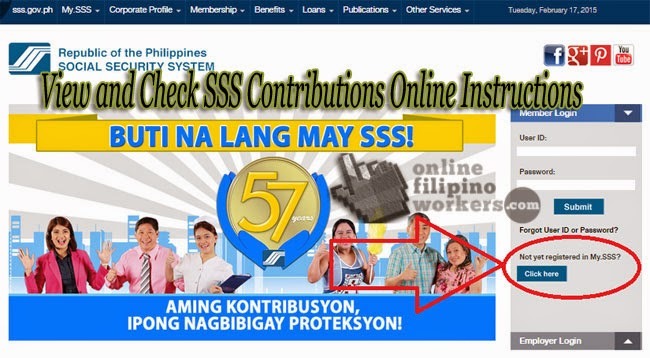 To check your SSS Contributions and account online, first, log go to SSS Website. You must sign up as a member first and create an account. Make sure that you are in the members section. To successfully sign up, you must have your SSS number and latest SSS payment receipt with you. There are two parts or registration that must be done. The first part will request personal biographic data such as your complete name and birthdate. Provide an active e-mail address as a link will be sent to you through it from sss.gov.ph. Enter the captcha code as the system will verify if you are a real human singing up or just an automated access. Check all the information and make sure that they are all correct and current before clicking submit. You can now download an SSS mobile app and check your SSS account online. Open your email and check if you have received a link from sss.gov.ph. If your email is other than a yahoo account, check the spam messages as you might not find the sent link in your inbox. After clicking the link, you will be directed to the second part of registration. You must provide your SSS number and other information. Create a unique user ID and a password. It is better to use a password different from your user ID. Select an appropriate registration status. If your status is self- employed, voluntary member, OFW, or a non-working spouse, type in your Receipt number of your latest payment not later than six months. 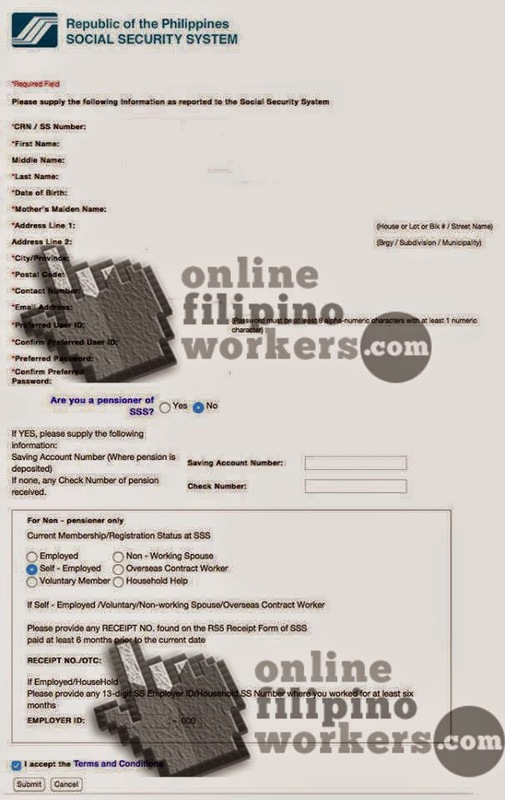 Employed and household help status must key in the SSS number of their employer. Check all the information and make sure to tick the box beside “I accept the Terms and Conditions”. Check your email, a message from SSS must be seen confirming the creation of your account. The email must contain your username ID and password. You can now log in to your account in SSS website. Remember to change your password every 90 days as it expires. 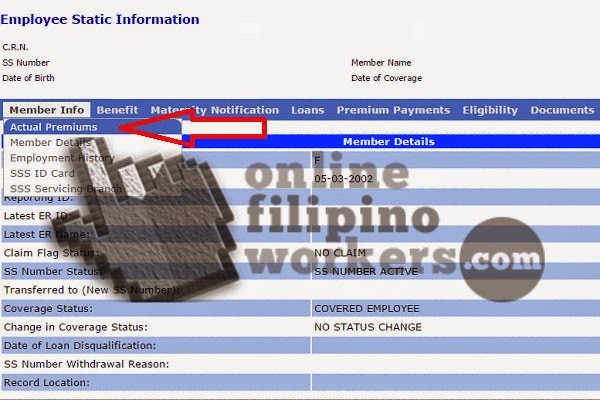 Once logged in, click ‘Online Inquiry’ and you will be directed to SSS Employee Static Info. To check your contributions and monthly premiums, click ‘E-SERVICES’ then tap ‘Inquiry’. Then select ‘ Actual Premiums’ to see your contributions. You can easily save print it at home or anywhere. Make sure that you log out after using your account as all of the information in your SSS account are vital. Knowing how to utilize SSS online services saves time and effort instead of going to the SSS offices. Now checking loan and monthly premium balances and getting a copy of SSS Static Info and Employment History in such a breeze.